Most of you probably think that McDonald’s invented fast food, when in fact, the concept has been in existence since the Middle Ages. Street vendors selling ready-made meat pies and other tasty, on-the-go treats sold their goodies to travelers, laborers and singles that didn’t have the means to cook meals. Any kind of prepared food that can be eaten on the go, usually with your fingers, can be considered fast food. The modern fast-food concept can be attributed to White Castle, an American hamburger chain that in 1921 was selling burgers for five cents that were made in great quantity at a high speed. 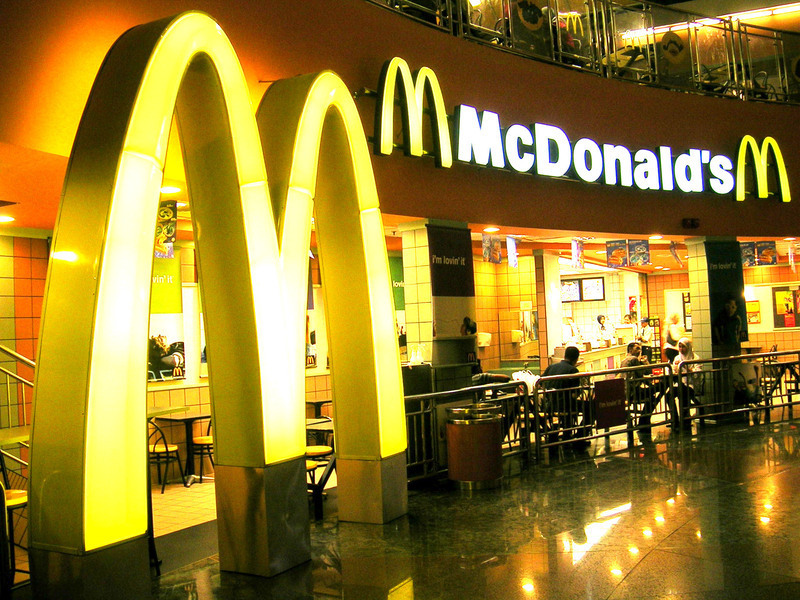 McDonald’s took the concept and ran with it by introducing the “Speedy Service System” in 1948, quickly becoming the largest fast food chain in the world with more than 31,000 “Golden Arches” located in 126 countries around the world. However, being biggest doesn’t necessarily mean being best, so McDonald’s will start out our list of the World’s 10 Best Fast Food Restaurants in the number 10 position. “Two all-beef patties, special sauce, lettuce, cheese, pickles, onions on a sesame seed bun.” Kids used to jump rope singing the catchy tune from the television commercial describing the popular Big Mac. The busiest McDonald’s restaurant in the world is in Moscow, and the largest is in Orlando, Florida where an arcade and play center with 250,000 feet of play tubes keep kids happy, as does the famous “Happy Meal,” kid-sized burgers and fries that come with a special toy. Although famous for their hamburgers, the modern McDonald’s menu includes healthier food choices as well as gourmet coffees. America doesn’t have a monopoly on fast food chains. Beginning first in England and now coming to cities like New York, Hong Kong, Chicago, Paris and Washington, DC, Pret a Manger is a quick-service sandwich restaurant that uses fresh, all natural ingredients. Although not the UK’s first fast food restaurant- that honor goes to fish-n-chips shop, Tommyfield Market in Oldham (1860)- Pret a Manger has introduced a novel concept to the industry concerning daily leftovers. Rather than saving them to serve less-than-fresh the next day, they donate all leftovers to local homeless shelters. Brilliant! Their chicken and avocado sandwich is outstanding, served on multi-grain bun with yogurt and fresh basil. Home of the Whopper and McDonald’s oldest rival, Burger King has 12,700 restaurants in 73 countries. Their advantage over Mickey Dee’s is the fact that all their burgers are flame-grilled rather than fried, improving the flavor as well as the health factor. Burger King has also wisely conformed their menu to regional tastes depending on the restaurant’s location. For instance, beer is on the menu in Germany, and kosher products are used in Israel. Teriyaki is used on Japanese Whoppers, and fried eggs are added to the famous Whopper sandwiches in Korea. The fast food concept is not limited to burgers, and when a Chinese-American businessman founded Mr. Lee in China it became an immediate success. Their beef noodle soup is simple and filling, and along with several mouthwatering rice dishes, has created a sensation in China that has translated into 400 successful outlets with more to come. Hint: vinegar sauce and chili-to-taste add a zesty heat to their beef noodle soup. 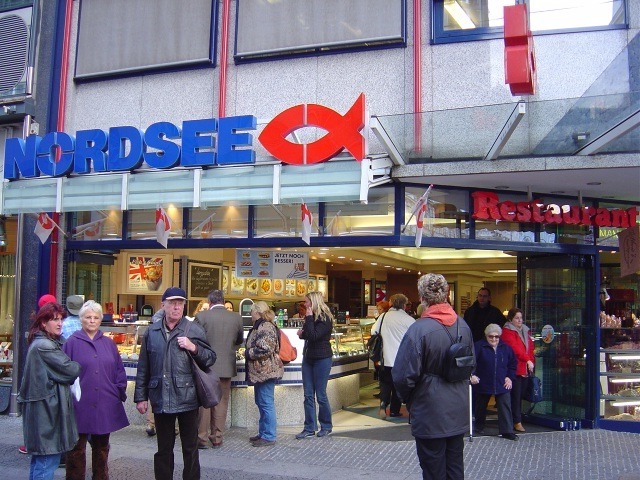 Seafood lovers flock to this German fast-food restaurant/market for excellent, healthy meals and a buffet that features sustainable seafood catches. Everything on the menu is delicious, especially their crispy Alaskan Pollock served with homemade tartar sauce and their famous German potato salad. The Colonel hasn’t cornered the market on fast-food chicken, because South Africa’s Nando’s restaurant chain has made quite popular their own version of the tasty bird. In thirty countries around the world, Nando’s serves flame-grilled chicken basted in spicy piri-piri chili sauce that has four levels of heat to suit different tastes. Chicken with a twist is first on the menu at this Filipino fast-food chain. They fry it, coat it in chili powder and call it Chickenjoy. Their seven hundred restaurants in the Philipines also serve local cuisine that includes shrimp, hard-boiled eggs, palabok, and rice noodles with meat sauce. The Jollibee mascot even has its own children’s TV show. With the motto, “Eat fresh,” Subway restaurants are one of the most popular and fastest growing fast-food franchises in the world, with 39,282 restaurants in 102 countries at the present time. Their menu consists of a variety of submarine sandwiches that are made-to-order by employees called “Sandwich Artists” in an assembly-line method that lets the customer see and select from a variety of fresh toppings. They are famous for their “$5 foot-long,” which although sometimes might just be 11 ½” are still incredibly good. Where else but in Russia can you get caviar from a fast-food restaurant? 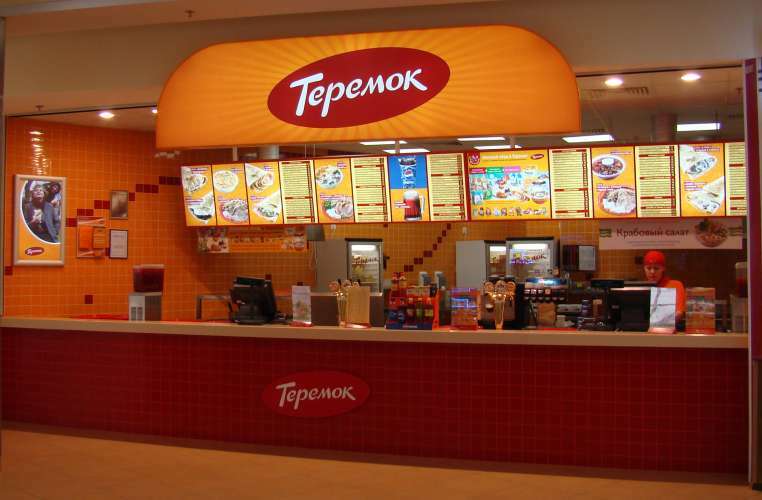 Topping our list of the World’s 10 Best Fast Food Restaurants is Teremok (Russian for “fairy-tale cottage”) whose menu features cooked-to-order Russian crepes called blini. You can choose savory or sweet fillings that include things like smoked salmon, ham and cheese, chocolate, fruit, or… you guessed it- caviar! If you ever have the opportunity to visit Moscow or St. Petersburg, look for one of their 175 orange-and-red kiosks and prepare for an unforgettable taste sensation. Go ahead and try any filling that appeals to you, but make sure that you get to sample the most mouthwatering, delicious fast food item in the world: blini with red caviar! There’s just no comparing this tasty treat with something so ordinary as the Big Mac.